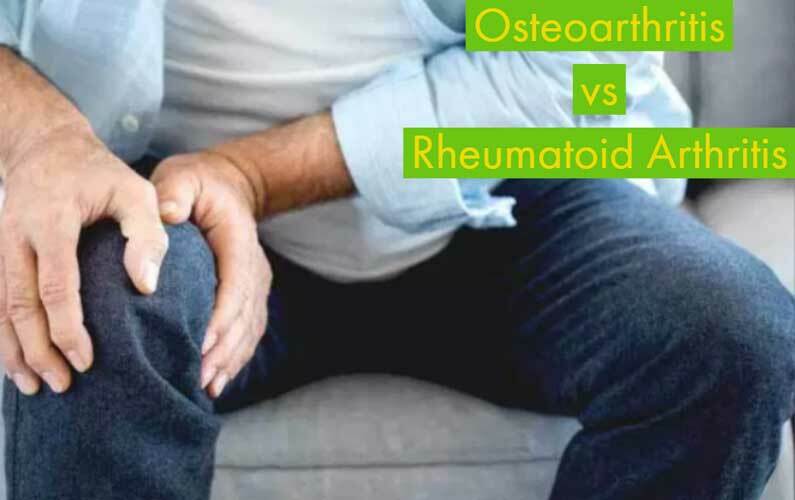 In this blog post, we discuss Rheumatoid Arthritis (RA) and Osteoarthritis (OA). Both are commonly found in adults older than 30, and both are commonly confused as they have similar names and symptoms. At Sunflower Home Health, we care about our patients and all of those who live in the Mississippi delta and want to ensure that everyone is educated. To differentiate between the two, we are going to break them both down in this blog. RA is an autoimmune condition, which means that it is occurs when the human body’s immune system attacks healthy tissue. However, it’s not completely known what triggers this attack. It’s a chronic inflammatory disorder that will affect more than just your joints. In fact, in some cases, it can damage a large portion of your body. This includes your skin, eyes, lungs, heart, and blood vessels. This damage is a result of the inflammation associated with RA. So, it is very imperative that you see a doctor as soon as you start to see any of the signs and symptoms (listed below) associated with RA. Early detection will increase the odds that you can get everything under control before this damage takes place. Age: RA can begin at any age, but the likelihood greatly increases as you get older. The likelihood of developing RA is highest among adults in their sixties. Genetics: Those people that are born with specific genes are more likely to develop RA. These genes are called Human Leukocyte Antigen class II genotypes. The risk is higher when these genes are exposed to environmental factors like smoking or when a person is obese. Smoking: Cigarette smoking increases the risk of developing RA and can make the disease worse. Currently, there are about 1.5 million people in the United States that have RA. Among those, there are nearly three times as many women as men. Having a family member with RA increases the odds of you getting RA. The goals of RA treatment are to stop inflammation, relieve symptoms, prevent joint and organ damage, improve physical function and overall well-being, and reduce long-term complications. Doctors will start aggressive treatment as soon as a patient is diagnosed, however there is no cure. The goal is to achieve remission of symptoms with medications. NSAIDs – Nonsteroidal anti-inflammatory drugs that relieve pain and reduce inflammation. Over the counter versions include ibuprofen (Advil, Motrin IB) and naproxen sodium (Aleve). There are stronger NSAIDs available by prescription. Steroids – Reduce inflammation and reduce joint damage. OA is the most common type of Arthritis, affecting millings of people worldwide. This occurs when the protective cartilage on the ends of your bones wears down over time. This is most common in the hands, knees, hips and spine. OA can usually be managed effectively by staying active, maintaining a healthy weight and other treatments. Symptoms often develop slowly and progressively get worse over time. These symptoms include pain, tenderness, stiffness, loss of flexibility, grating sensation and bone spurs. These symptoms are particularly noticeable first thing in the morning or after resting for an extended period. You will see limited range of motion that will go away after movement. You can also hear a clicking or cracking sound when a joint bends as well as mild swelling around joints. The pain can worsen towards the end of the day. Currently, there are 27 million people in the United States affected by OA and, just like with RA, it is much more common in women than men. There is no reason to believe that your chances of getting OA are increased if a family member has it. However, as discussed in the risk factors portion, it is more common among older people who are overweight or have had any type of significant injury in the past. There is currently no cure for OA, but the symptoms can be managed with lifestyle changes, physical therapy, medication and surgery. Exercising and living a healthy lifestyle being the most common and effective treatment. Nonsteroidal anti-inflammatory drugs (NSAIDs) – Over the counter medicines such as ibuprofen (Advil, Motrin IB) and naproxen sodium (Aleve) typically relieve OA pain. You can also get stronger prescriptions from a doctor. Duloxetine (Cymbalta) – Normally used as an antidepressant, can also be used to treat chronic pain. At Sunflower Home Health, we truly believe that education and awareness are the keys to making the Mississippi Delta a healthy and safe place to live, something that we are committed to making a reality.